New members CGK pay no entry fee. 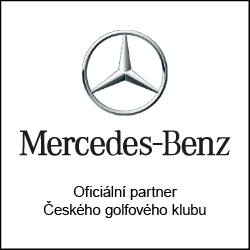 Each member of the CGK, regardless of what type of membership he choses, becomes also a member of the Czech Golf Federation. In the period from April to October a club tournament will be held approximately every 14 days. CGK guarantees its members, regardless of their number by contractual arrangements a minimum number of game slots, which will correspond to 80% of all CGK memberships and their corresponding maximum possible numbers of games in the month (game numbers with type of membership with annual credits are calculated and spread over 8 months). Thus, if CGK has a total of 750 members with the types of membership above, the minimum number of slots that CGK should subcontract would be 3,800 game slots per month. CGK provides guarantee for its members for the group of courses within the category P separately.